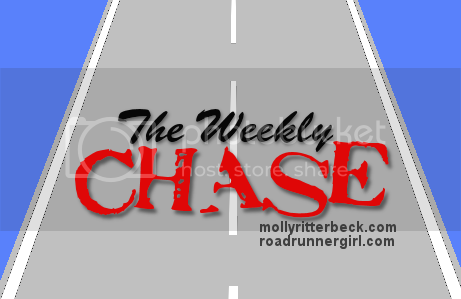 Road Runner Girl: The Weekly Chase #68! First of all I want to say good luck and God speed to all the runners running the Boston Marathon today! I encourage you to get out there and move for Boston today! We are all #BostonStrong! Well it's back to reality this week. We had an amazing spring break and I'm super sad to see it end! And so are my boys. But...on the bright side...the boys only have 5 more weeks of school left and I only have 4 more weeks of preschool left and then it's summer time!!! I hope everyone had a great weekend! I had a blast running the Crescent City Classic 10K on Saturday! I'll be recapping it for you this week! And we had a wonderful Easter with family! We spent the night at my sister-in-law's house on Saturday night and spent all day with them and the in-laws and granddaddy on Easter Sunday! It was so nice to relax and enjoy being together! Goal #1: Run 3 times this week. Yes! I got in two short runs and then I ran the Crescent City Classic 10K race on Saturday! Goal #2: Roll and stretch daily. I didn't do this this weekend since I wasn't at home. The rest of the week was successful though! Goal #3: Log and stay under all my calories this week. Yes!!! I did great with this even though it was my Spring Break!!! I even ate under my calories on Easter!!! Goal #4: Shop for Easter. Yep! 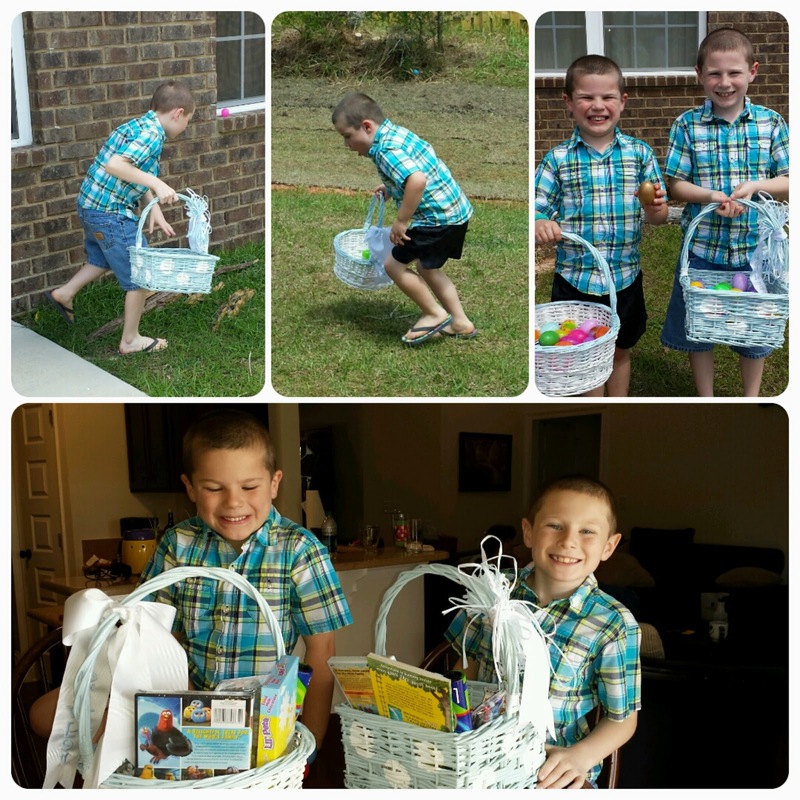 The boys had a great basket of Easter goodies! Goal #5: Make spring break fun for my boys! Yes! The weather didn't cooperate as well as we would have liked so we didn't get our beach day. We had several rainy and then cold days. But we did get to go see the movie Rio 2 which was really cute! And we got to play at the park! Goal #1: Run 3 times this week. The same plan...2 short ones and a longer run on Saturday (even though I am not officially training for anything I want to keep my mileage up). Goal #2: Roll and stretch daily. Need to do better this week! Goal #3: Log and stay under all my calories this week. I'm hoping to hit that 10 pounds lost number this week! Goal #4: Cook at home this week. I want to cook most of our meals at home this week. It helps me make healthier choices when I'm the one preparing it. That's the plan for this week! I hope everyone has a great week!